South Jordan, Utah, is a city of approximately 60,000 residents in the Salt Lake Valley. It was initially founded by Mormon settlers and today, is a bustling suburb of Salt Lake City. As such, it has two light rail stops and one commuter rail stop to facilitate its residents’ commute into the city. When you are facing a legal issue, work with an attorney who is equipped to handle your specific case. If you are facing a criminal charge, work with an experienced criminal defense attorney. If you are navigating the complex world of family law, work with an experienced South Jordan family lawyer. Making the right choice in hiring an experienced attorney can mean the difference between a favorable resolution or not for your case. When you are facing a criminal charge, you need to work with an experienced criminal defense attorney who can effectively defend your case. His or her representation could be the factor that causes your charge to be lowered or even dismissed. Whether you need to modify your current child support agreement or you need to defend yourself against a DUI charge, you need to work with an attorney who is equipped to handle your case. At CoilLaw, LLC, attorneys Jill Coil and Luke Shaw can give you the answers to your questions and quality legal representation that you need. 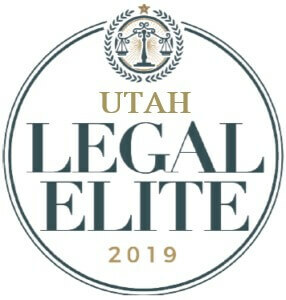 We are a team of experienced Utah family and criminal defense attorneys who will give your case the dedication it deserves. Contact our firm today to set up your initial consultation with our firm.